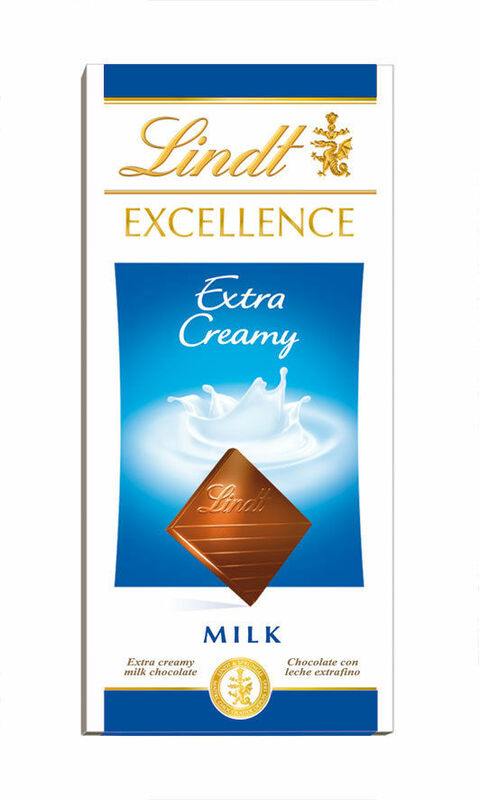 Exceptionally smooth and creamy, Excellence Extra Creamy will delight you with the authentic taste of premium milk chocolate that will melt in your mouth like no other. Ingredients: Cacao solids: 30% min. Sugar, cocoa butter, milk ingredients, cocoa mass, lactose, barley malt extract, soya lecithin, artificial flavour. May contain traces of peanuts hazelnuts and almonds.